Wet Weather is the excess flows that a collection network or treatment plant see during wet weather events. These can occur in separate and combined collection systems due to substantial amounts of stormwater runoff to wastewater treatment plants or excess flow overflow locations. These flows inundate collections and treatment plants creating the need to store or treat these excess flows. The treatment of these excess flows can be achieve by screening and sedimentation or filtration followed by disinfection. 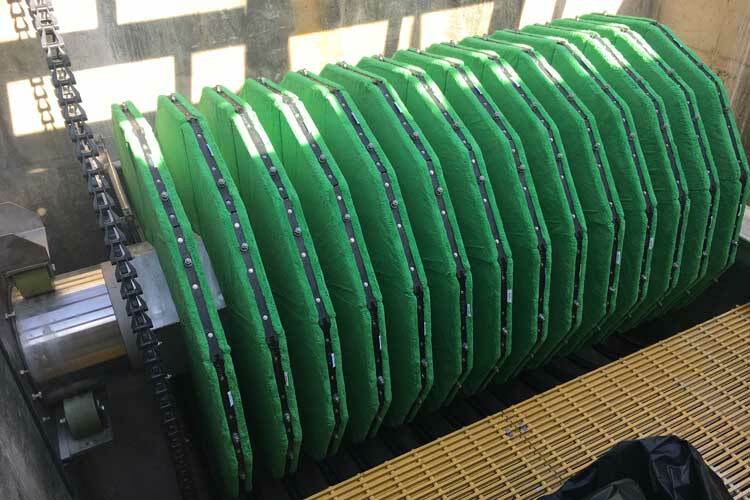 The AquaStorm™ Cloth Media Filter is designed to be used for enhanced high rate wet weather treatment, a process that can achieve equivalent to wet-weather secondary effluent quality.